With Permanent Makeup by Sharon Highstone (formerly Niles), R.T., S.T., you can enjoy the benefits of looking great from the moment you wake up in the morning. Imagine... with permanent makeup you can wake up to a new day, look in the mirror and your makeup has already been applied. Whether swimming, exercising, or playing sports, your makeup is always there, perfectly. No more struggling with drawing eyebrows, only to have them smear off or getting a perfect eyeliner, just to wind up with black eyes. No more worries of reapplying lipstick all day, just to have it bleed into those fine wrinkles. FREE CONSULTATION - Sharon specializes in eyebrows, eyeliner, lip liner, full lip corrections and areola reconstruction. Call and schedule an appointment at your convenience to discuss your needs with one of the best permanent makeup artists in Brevard County, Florida. 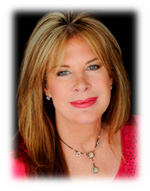 CERTIFICATIONS & EXPERIENCE - Sharon has over 20 years of experience as a permanent makeup artist. Fifteen of those years were working with a leading Facial Plastic Surgeon in Brevard County, and currently working with Dr. King Kim, DMD. (see sidebar) She is board certified as a Radiologic Technologist (R.T.) and Surgical Technologist (S.T.) since 1995. She has thousands of satisfied clients and references are always available upon request. 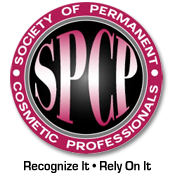 CORRECTION SPECIALIST - If you think your poorly applied permanent makeup can't be fixed, you'll be very surprised and relieved to know that this is my specialty and my passion. Color and shape can always be improved. See what Florida Today readers think about Sharon Niles Permanent Makeup. With a large number of clients resulting from referrals, Sharon's number one goal is to make sure you are completely satisfied with your results.